Few months ago, I wrote a post how economy downturn has forced major IT companies to kneel down. I then wrote some words on Circuit City liquidation. Here is somewhat good news. Recently, Circuit City is back. If you check it's domain, you'll see gadgets listed on sale instead of company liquidation note. On May 19th, Systemax bought all online properties of Circuit City including it's domain. Systemax are the guys behind tigerdirect and compusa. 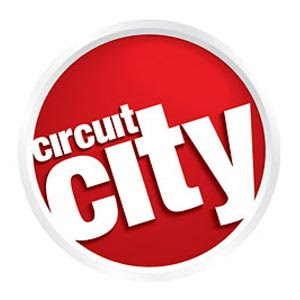 You can read Circuit city re-launch press release by clicking here. Since the Circuit City is under new ownership, it's legally not liable for any previous debts and refunds/replacements or any other previous warranty claims. Just checking core of it's shopping cart and other area of the site, it's truly not operating independently rather backed by Systemax's server system. Thus, it's not really circuit city that once we had seen as a big corporate retailer in our neighborhood but mere online retailer. Anyway, it's good to see that name back in the scene even if it's not the one we've seen in past. So, everything you'd be buying there would be buying from tigerdirect. Period. It is back, but the whole act of liquidation and emerging back looks like a story. The liquidation process was not so tragic anyway because many people actually enjoyed the clearance sale. the meroguff that pops up on the left of every page literally blocks some contents of your blog. You might consider adjusting its dimensions or placement.